I suppose the answer to the question “How was the fishing trip?” will, at least for me, typically be predicated on the catching. This time around, it was good. Some fishing, some catching, some exploring and some relaxing. And all with the crowds of summer still held to a pre-Memorial Day minimum. Every year for the past three I’ve fished Crowley Lake and explored nearby waters, usually including one place that’s new to me. 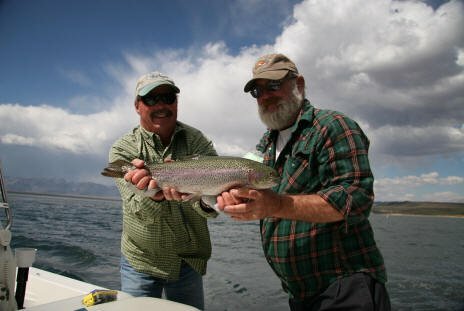 For one who grew up predominately catching trout in the high Sierras, typically in and around Tuolumne Meadows, a fish’s colors can trump size, and finding within myself the skill, stealth and tenacity sometimes required of fly fishing to hook and land a fish is in itself part of the reward. This trip was no different. 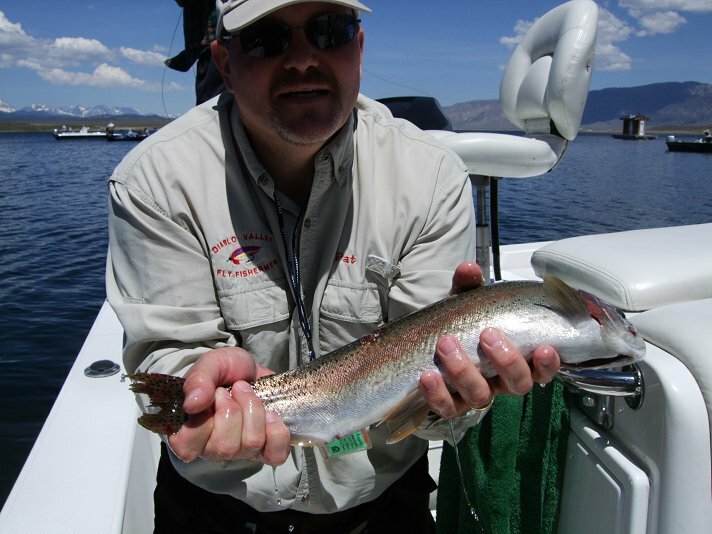 I landed beautiful fish, was challenged by new water, and landed a personal best on Crowley Lake. 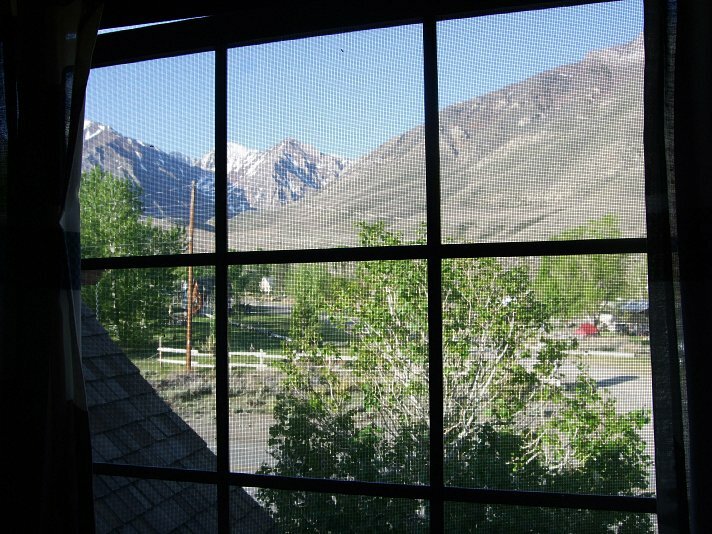 I’ve developed a habit of traveling to the cabin (in Twain Harte), if I can, during midday to avoid the usual traffic snarls. 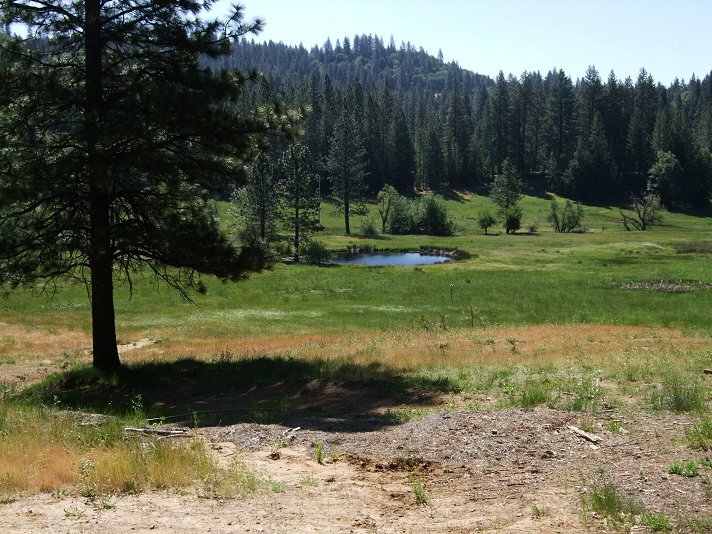 This also allows for a leisurely drive and the almost obligatory stop at Bass Pro Shops in Manteca. Traffic was indeed light, and after an hour of poking around Bass Pro, I arrived at the cabin in the early evening, tidied up the car the next day, read my book and hit the hay early enough to ensure nine hours of sleep before getting up at oh-dark-thirty for the trek across Sonora Pass, which was relatively nice. Think I saw less than half a dozen other vehicles during the 70-mile drive to Sonora Junction. 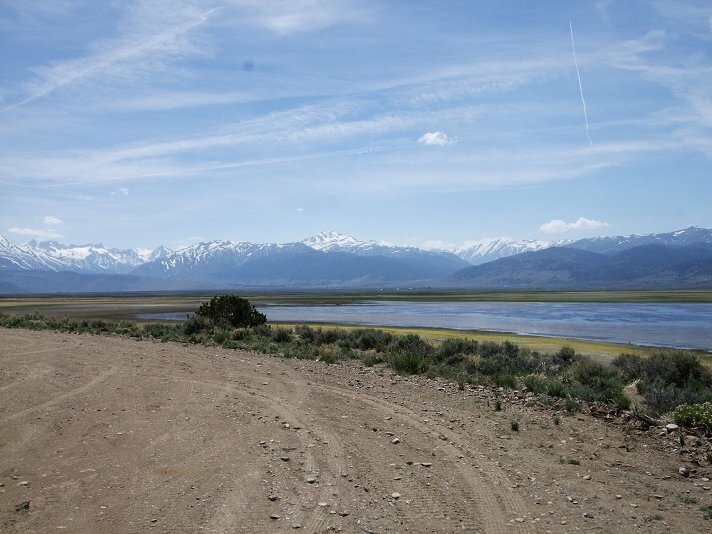 With perhaps too much optimism, I hoped to fish Little Walker River. 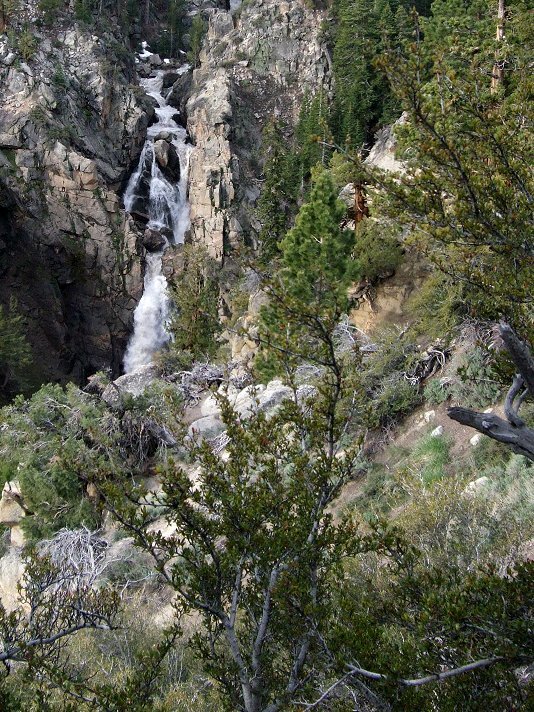 After my arrival, and being a somewhat rational human being, I passed on trying to fish the Little Walker, which like the West Walker River was running fast and high. A quick stop made in Bridgeport at Ken’s Sporting Goods, followed by a selecting of flies and the solicitation of information, I had a game plan to try the East Walker River. After passing by numerous times before, this would be my first visit to the EW. I look upon the first few casts during any of my trips, particularly on new waters, as a warm up. Sort of keeps expectations low. 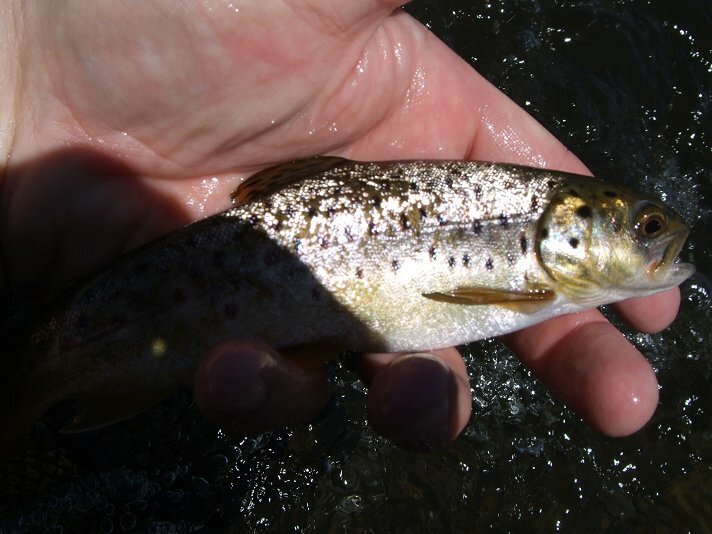 That theory was unexpectedly destroyed on the EW when my first dozen drifts yielded four strikes and two smaller brown trout to the net. Missed strikes would haunt me throughout the day. Had I been fishing with a buddy, it would have been embarrassing the number times I missed the hookset. The lower section of the East Walker — below the bridge — is known for smaller fish, which almost guarantees fewer fishermen. With a long section to myself, I pulled a few more fish out in the course of a couple of hours. I later moved to the upper section, finding more people flogging the so-called Miracle Mile. Not so many people that it was crowded, but prime spots were quickly occupied. The folks I spoke with told me the water was too high for great fishing, but was definitely fishable. I did watch, with a little bit of envy, as one guy pulled what must have been a 24-inch-plus brown out of one eddy. In fours, my tally was six brownies to hand, the biggest at about 13 inches. The evening found me near McGee Creek. With waning daylight, I probed the waters of McGee to pull out two rainbows that looked like DFG fish. A call that night set the launch time from the Crowley marina at 7:30 a.m. I met Ron, who replaced Wade as my “blind date” for the day with a guide on Crowley, at the boat. In short order we were headed to the Layton Springs section of the lake. If the first half hour was to be any indication — two fish, albeit smaller trout, within about 30 minutes — we were in for one heck of a day. But the excitement quickly abated. Oh, I was still getting strikes, but it was spawning Sacramento perch, something only usually caught during the spring. While it was great to work on my strike detection skill as well as my hook set, I really wasn’t there to pull in perch. Ron and his big fish for the day. As the day wore on — and great weather followed me this trip — our leaders grew in length. I usually work with a 10- to 12-foot leader, smaller on smaller streams of course, but by midday we were flaying about with 17-foot leaders as we tried to get down to the fish. And down to the fish we got. 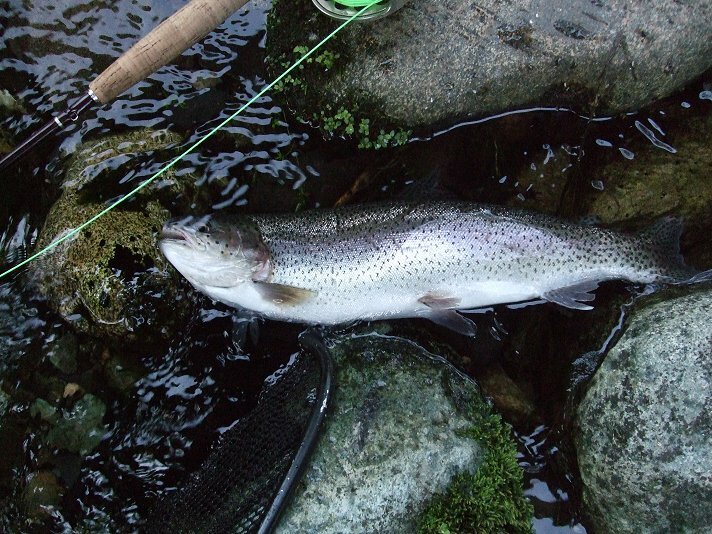 Early morning I hooked into a nice 19-inch post-spawn female cutthroat. 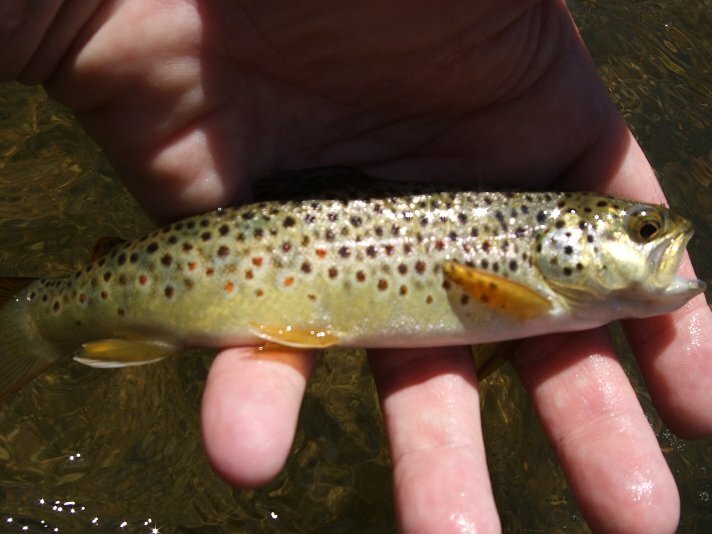 The best of the day, which ended with a total of nine trout for me, and the smallest at about 12 inches. Ron, who spent the day with a few strikes but no hook ups, literally came in under the wire. After our guide rang the 10-minute warning bell, Ron hooked into a good fish and ended up bring a big, about 24-inch long, rainbow to the net. Great ending to a tough day! If a day on the lake wasn’t enough (we were off the lake at 4:00 p.m.), Ron and I drove to the section of Rock Creek just below Rock Creek Lake. Ron was there to see what it was like, and left shortly thereafter. I stayed to play with the wild brook trout, which obliged me. Figure I pulled in more than a dozen with my 3 wt. rod, casting a dry/dropper combination, with hits on both flies. A bit upstream from where I waded in, I targeted a small pool with overhanging bushes. Sure enough, I pulled a few brookies out of it, but was surprised when what seemed to be a snag turned into a beautiful 11-inch rainbow sparkling with scarlet cheeks and a match slash down its side. Too bad my camera was resting in my backpack in my car. Friday was departure day but that morning I squeezed in what ultimately became a 3- to 4-mile nature hike. Knowing that McGee Creek can be home to fish coming out of Crowley, I wandered downstream, but left the fish alone. Most were either spawning or beat up and returning to the lake. Now I know what to expect. It was a good morning, nonetheless. 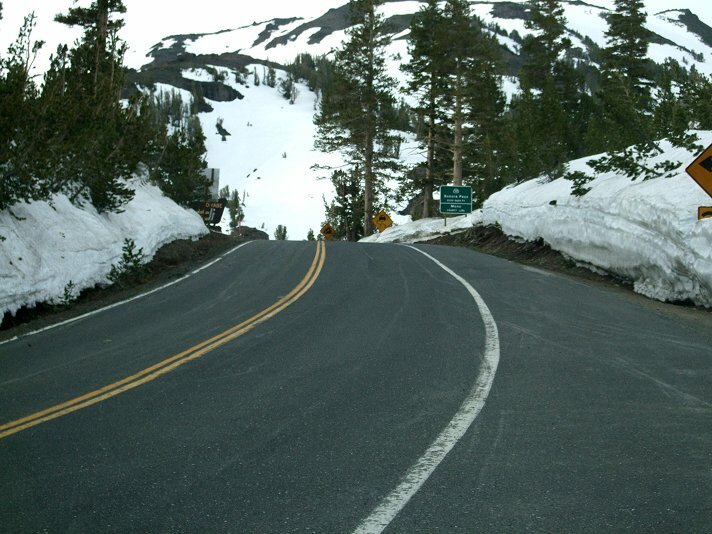 Preferring to not drive the same route to the cabin, I headed up the recently reopened Tioga Pass Road. I wasn’t disappointed. 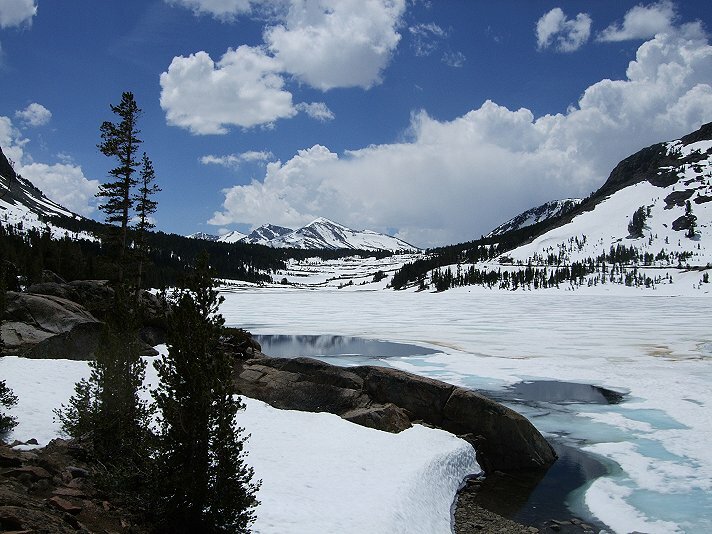 Tioga Lake was still mostly iced over and snow was prevalent over the pass and through Tuolumne Meadows, though the meadows were more akin to a marsh. Later that afternoon I pulled up at the cabin, cleaned up, then enjoyed a most excellent brick oven-baked Pizza Margherita from the local Villa D’oro restaurant. 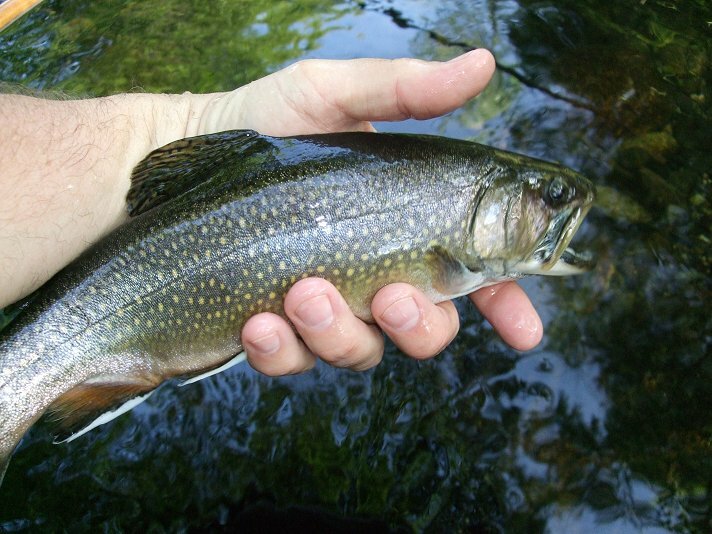 Knowing that the Department of Fish & Game had dumped some of the larger brook trout in Moccasin Creek, I spent most of Saturday morning and part of the afternoon there. 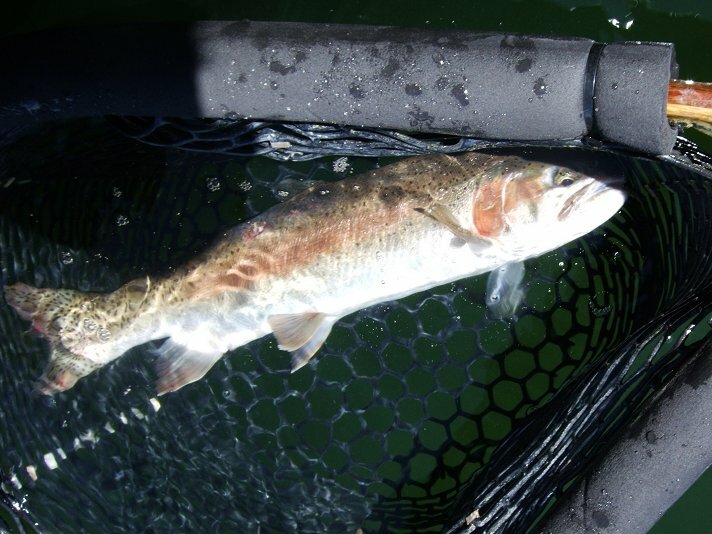 My second cast led to the landing of a nice 16-inch hatchery rainbow, and as the morning wore on (and after switching to Prince Nymph fly trailing a Tiger Midge), I brought about a dozen brook trout to the net. Then, as has become my modus operandi, I returned to the cabin during mid afternoon to clean and pack my gear in anticipation of returning home Sunday (so that I might miss traffic). Later there was time for relaxing and reading. Sunday morning was a repeat of the last day of my last visit. Played with the bass and sunfish in a pond on a now-defunct golf course, and pulled a few wild browns out of the canal. Then it was time to wander home. 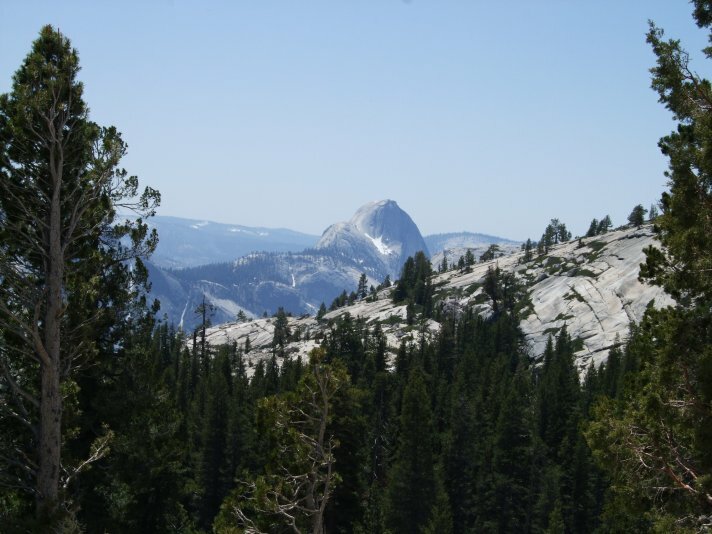 The view from Olmsted Point. 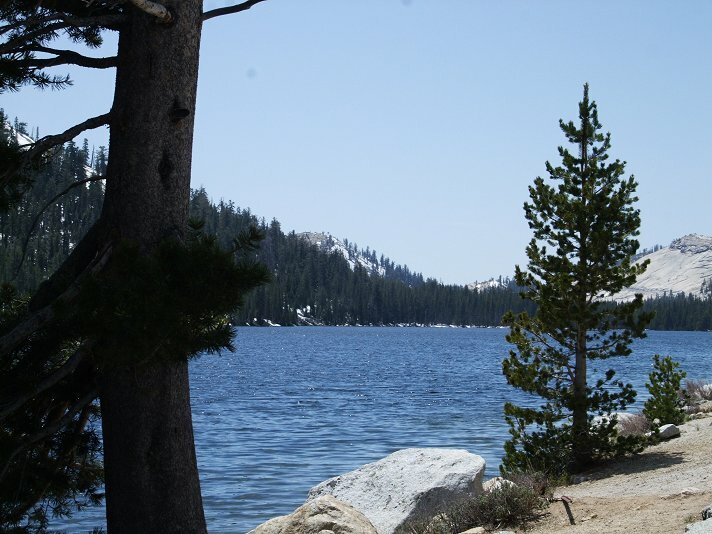 Categories: Fly Fishing, Sierra Nevada, Twain Harte, Vacation & Travel | Permalink.